Huawei's next flagship, the Mate 20 series lands later this year and details for it slowly emerging. 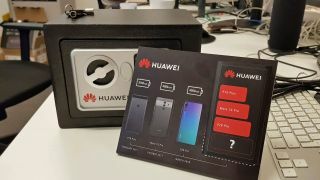 We can already guess that it will come equipped with the Kirin 980 processor, a rather large battery and a triple camera setup found on the Huawei P20 Pro. One feature that has been lacking on Huawei phones is wireless charging and looks like Huawei is set to make a grand entry with that. According to Android Authority, an image posted on Weibo shows Huawei's wireless charger LZ80 with a 20W output. To put things in perspective, Samsung's latest wireless charger has an output of 9W. Interestingly, the Huawei charger supports Qi charging which has evolved as the industry standard with both Samsung and Apple supporting it. However, this standard supports a maximum of 15W so there's a good chance that Huawei might deploy a custom chip to support faster charging, or, there's a revision to the Qi specs expected soon.